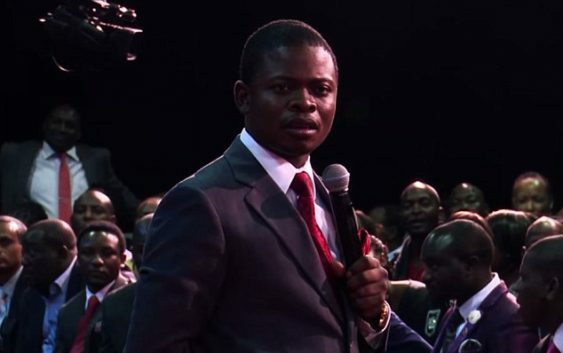 Prophet and mother Prophetess Mary Bushiri arrested by Directorate for Priority Investigations (HAWKS) at Sparkling Waters Hotel in Rustenburg, South Africa. This morning, around 07:00hrs in the morning armed members of the police stormed Sparkling Waters Hotel in Rustenburg, South Africa. We were later made aware that they were members of the Directorate for Priority Investigations (HAWKS). They took the Prophet and our mother Prophetess Mary Bushiri in handcuffs to Pretoria. They have charged our father with fraud and money laundering. As you will remember, from last year, we have struggled with reports that our father was guilty. We have repeatedly learnt from different media houses that we were under investigation. At some point accurate reports pointed out the fact that certain people within the police had demanded bribes amounting up to R10 million. This is a matter that is on record and well known. He has been detained and is being questioned by the HAWKS in Silverton, Pretoria. We will give you more updates as we go. We would like to encourage our members to be steadfast in prayer. This morning we were vindicated through the CRL after weeks of being painted wrong. We urge you to remember that this too shall pass.